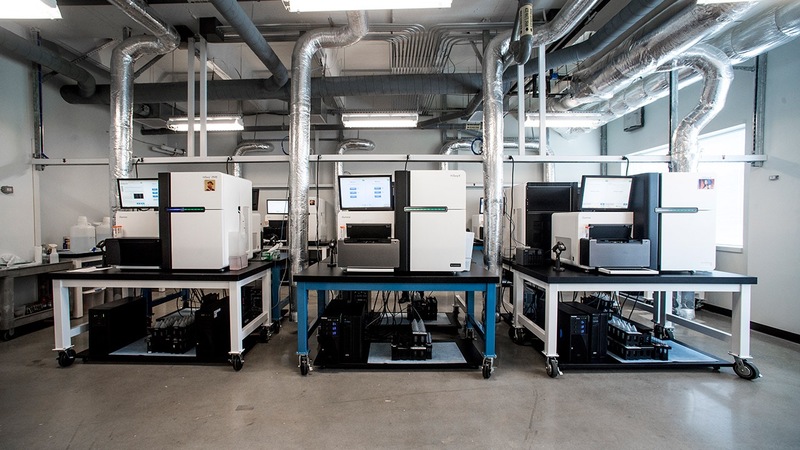 HudsonAlpha is a global sequencing leader whose highly skilled scientists use the best available hardware and software to interpret massive amounts of data into real world solutions. The Genomic Services Lab (GSL) offers cutting-edge genetic research tools to HudsonAlpha faculty and labs as well as other institutes in Alabama, across the United States and all over the world. The GSL has supported more than 3,200 projects and has sequenced more than 130,000 samples in collaboration with colleagues from HudsonAlpha and hundreds of laboratories worldwide. Data produced in the GSL has revealed the genetic causes of many inherited diseases and is contributing to the understanding of complex conditions such as autism, ALS, bipolar disorder, schizophrenia, heart disease, diabetes, cancer and other diseases. 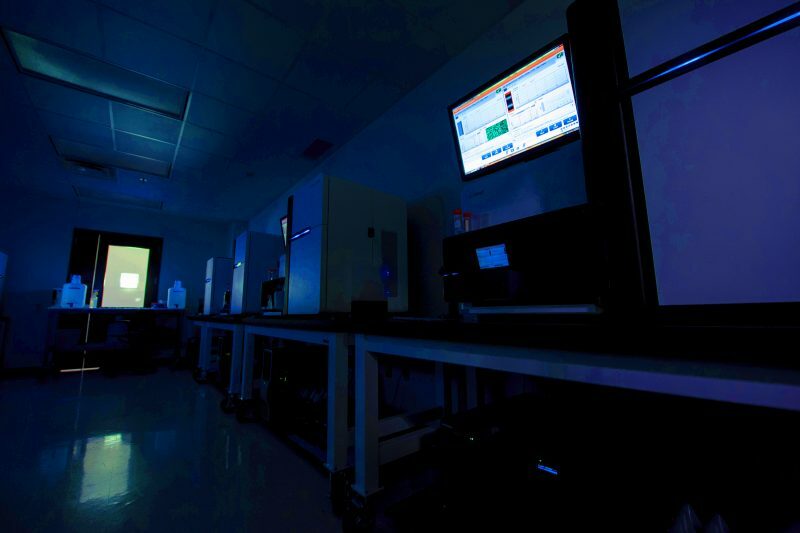 The HudsonAlpha Genome Sequencing Center (HGSC) is one of the few centers in the world performing original sequencing of plants and animals. The center specializes in applying genomic techniques to understand how plants function in response to environmental changes. In the cases of crop species such as sorghum, soybean, peach citrus and millet, these genomic references form the basis for genomics-enabled crop breeding to increase yields.